Fjords, high cliffs, small villages, thousands of islands shattered along the coast, untouched nature… welcome in Western Sweden. Every traveller with a strong passion for wild nature, solitary landscapes, open sea and ancient traditions should necessarily see this region at least once in life. But Sweden’s western coastline is also a paradise for sea food lovers. Mussels, oysters, scampi and prawns are but an inch of the large variety one can find in this area. 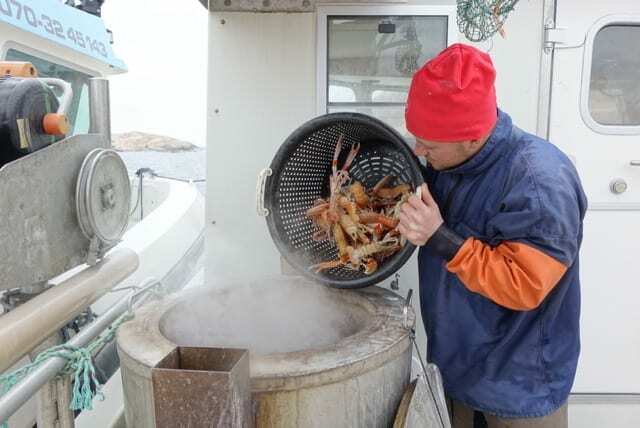 The cold water of the sea, the purity and high concentration of mineral salts, allow the crustaceans to grow slower than in more temperated seas. These are the ideal conditions to become large and tasty. 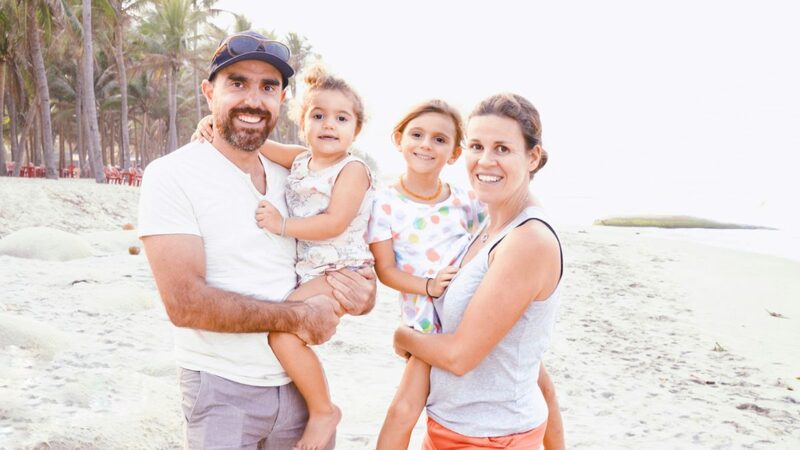 The seafood safari is the trip offered in many places on the coast, and it’s the best way to experience how these threats are fished and cooked. I tried both scampi fishing and mussels: the first in high sea (while the sea was so rough I still get sea sick thinking of it), while the latter in quite and covered waters. But the best part still is seating at the table and tasting what you just fished. 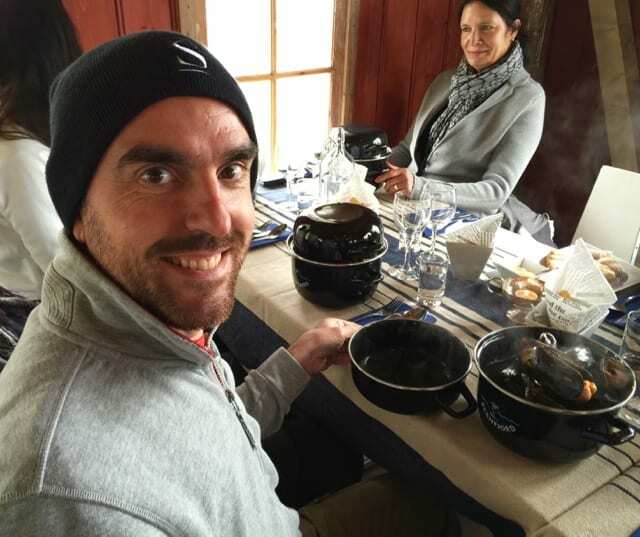 The giant mussels in Klocktornets Massellar are a real threat, cooked with oil, onions, garlic, carrots and spices. Delicious! Same goes for the scampi: cooked in a pan with boiling water and salt, and eaten just plain, no sauces or whatsoever. They are excellent, with such a tender pulp it melts in the mouth. Obviously there isn’t just sea food around here. Smögen is a typical Swedish postcard village, with wooden buildings in mild colours and white houses with bright red roofs. 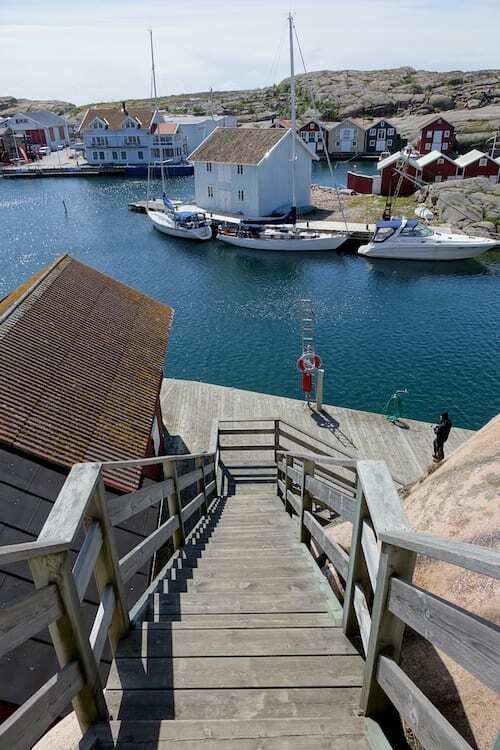 Once a small fishermen village, today Smögen is among the region’s major tourism destinations: during summertime every day thousands of visitors walk its streets and its harbour, sit in its restaurants and bar, shop in its small boutiques. I arrived in Smögen by the end of May, an excellent time to enjoy peace and quite, to mesmerise myself in the sound of the waves and the call of the seagulls. No tourists, cars, campers or motorbikes. Just a few people enjoying as I the magical atmosphere of this village, trying to imagine how it looked like back in the 19th century. Driving south along the coastline I reached Marstrand, a small island with no cars but plenty of yachts. A place especially loved by sailing boats farers, in fact every year there are races and competitions with challengers from all over the world. The island is towered by the tall Carlsten’s stone fortress, an imposing building which served through the centuries as defence against the Danish invasions. Ironically, in just two charges it was conquered both times by the Danish army. Marstrand is also renown for its herrings, cooked in different ways and served in every restaurant on the island. 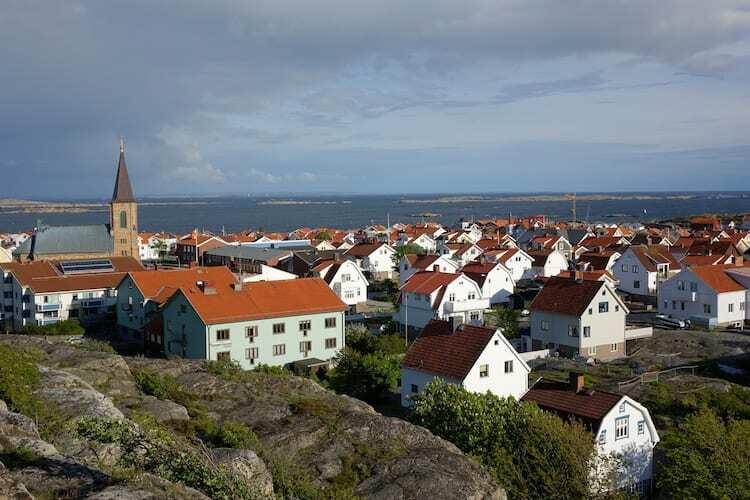 Moreover, spending a few days in Marstrand allows to relax walking on the island’s paths or on hamlet’s the paved roads. The easiest way to move around on the coast and on the nearby islands is definitely the car. I rented one in Göteborg and after about one hour on the highway (toll free and with little traffic) I reached to coast. It’s just the best option, allows for much more flexibility and you can move freely from one place to another. The best time of the year to travel to Western Sweden is for sure from May to June and from September to October. Obviously during summer the climate is excellent, but you may bump into a crowd of tourists while being in places that require some room to be fully enjoyed. Nonetheless, it’s also true that in summer the 160 kilometres stretching from Göteborg to Norway offer places untouched by mass tourism. And around the end of September the lobster fishing season starts, an event that revitalize the coastal towns, especially for weekends. Finally, Sweden isn’t that expensive, especially during low season. A good three-course meal in a nice retaurant starts from 30 euros per person, while with 10 you can eat in a buffet restaurant. B&Bs’ rates start from 50 euros, while a room in a 4 star hotel will cost you at least 100 euros per night. For further information about tourism in Sweden: Visit Sweden.